I just love this mini mini. So glad you entered it! Good luck! So sweet! Good luck! I’ll go on right away! 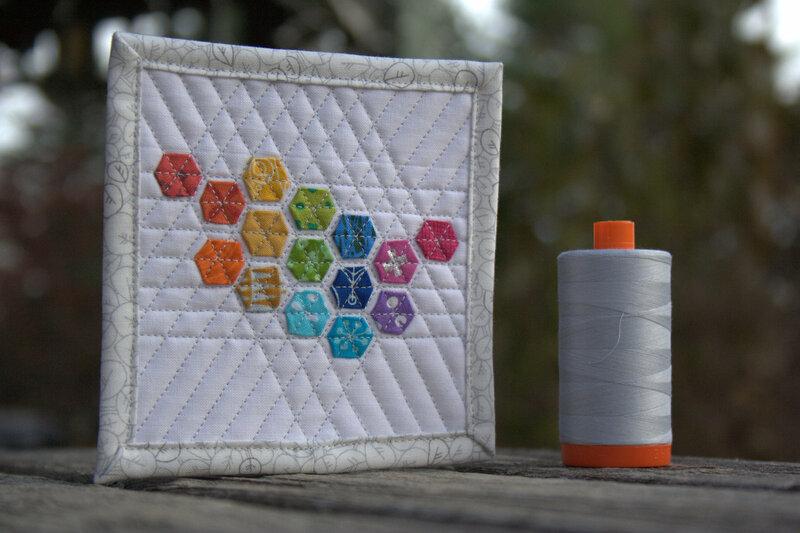 Kitty, I can’t believe how tiny these hexagons are! Amazing piece. Love it. Great stuff – love how this turned out! Great job, Kitty! I’m not sure I would have the patience for this!! 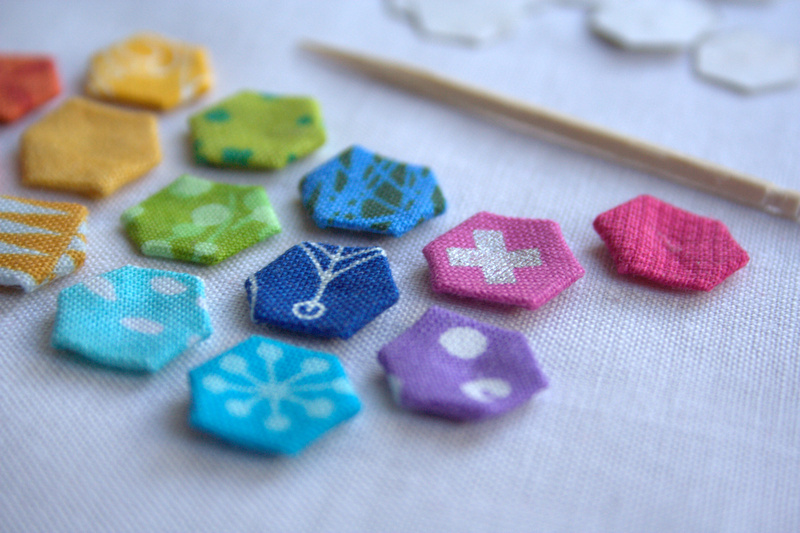 Either you’ve got teeny tiny fingers or your kiddos are being drafted to piece and sew. No matter how you made this one, it is a winner! That is crazy tiny! That photo with the quarter is amazing. 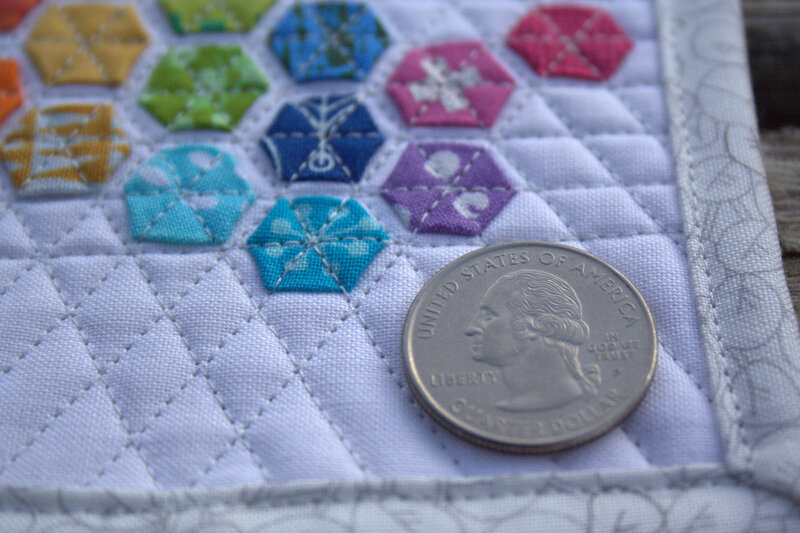 Beautiful work; it’s an adorable quilt. This is just so sweet in all it’s teeny, tiny mini-ness! 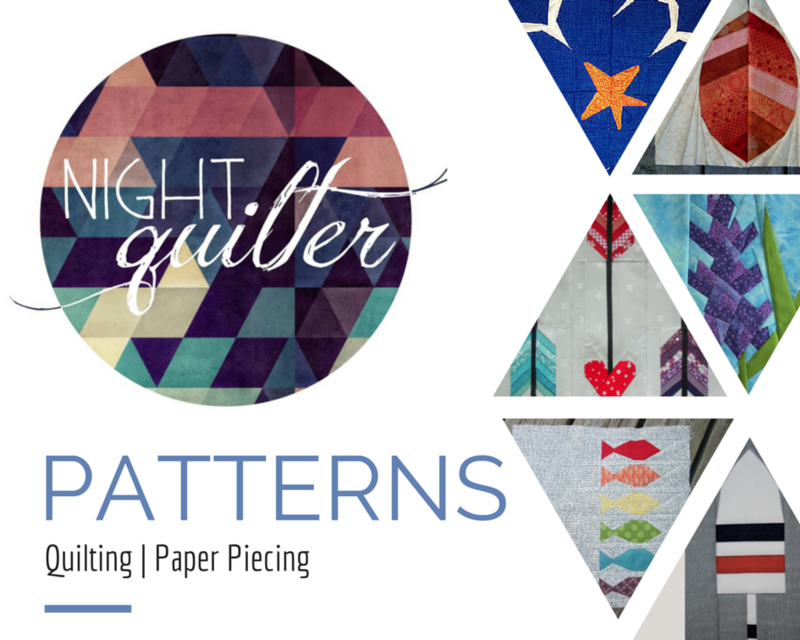 It almost tempts me to reconsider epp… but just almost. 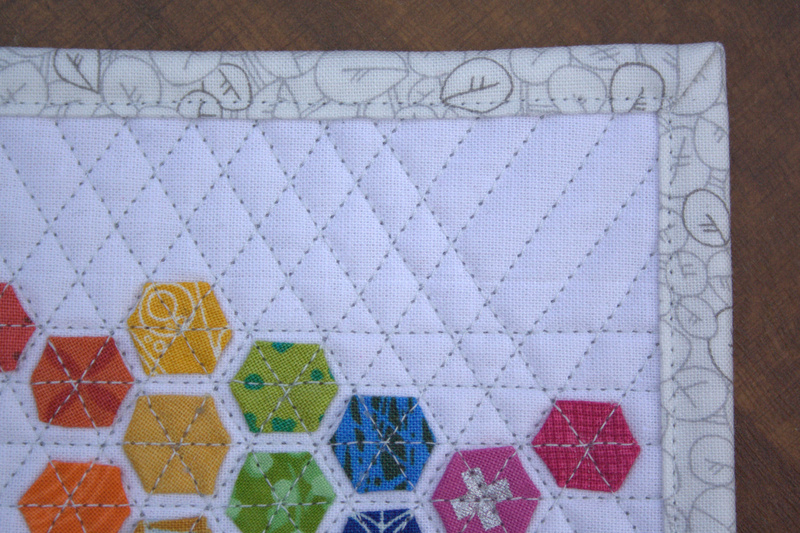 Your CF binding is another one of her fabrics that I just drool over – again, another collection that was here and gone by the time that I jumped on the bus. Good luck on your entry! 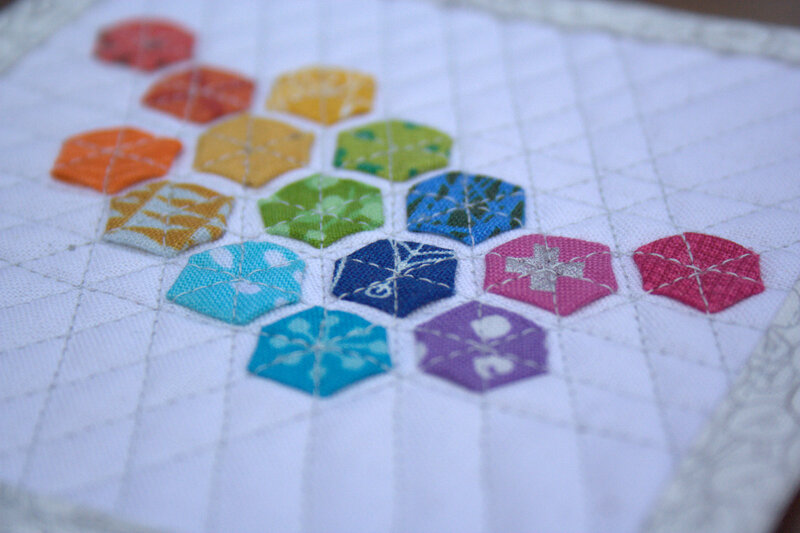 I love that wee quilt – those rainbow hexes are so Kitty.